I have often wondered what the name, Algiers, for the capital of Algeria meant. I always thought it interesting for a capital, and a country to have the same name: Alger (in French) the capital and Algeria, the country. For starters Alger (in French) or Algiers (in English) is a name deriving from the Catalan Alguère, which itself comes from Djezaïr, name given by Bologhine ibn Ziri, founder of the Berber Zirid dynasty who built the city in 944 on the ruins of the ancient Roman city Icosium (or the seagull island), Djezaïr Beni Mezghenna. The name, as given by Bologhine ibn Ziri, referred to the four islands which laid off the city’s coast until becoming part of the mainland in 1525. In Arabic, Al-Djaza’ir (الجزائر), “les Îlots” (the Islands), in French “les Iles de Mezghenna” or the islands of Mezghanna (جزاير بني مزغنا Djezaïr Beni Mezghenna). According to Middle Ages Muslim geographers, the term island could also refer to the fertile coast of Algeria stuck between the vast Sahara, and the Mediterranean Sea, appearing as an island of life, Al-Jaza’ir. the Algiers bay; the casbah and the two quays form a triangle. Under Ottoman rule, from 1510 to early 1800s, new neighborhoods arose on the hills overseeing the bay. 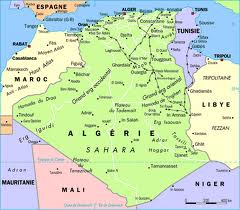 Algiers and Algeria later fell into French rule in the 1830s, and Algeria became independent on 5 July 1962. 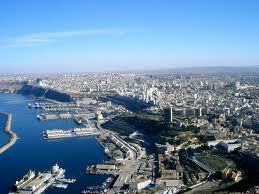 Today, ‘Algiers the White’ is an important vibrant city of almost 4 million inhabitants in North Africa. 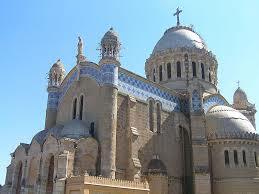 It is in essence a joyous city with a glistening white essence on the Mediterranean sea. Enjoy this video on Algiers.